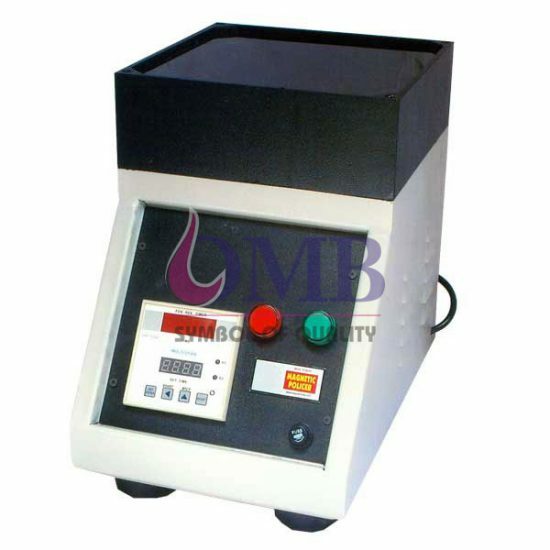 This Magnetic Polisher Machine is designed with a Magnetic Disk which is made up of many powerful magnets that are precisely placed in a cast disk. It provides Reverse and Forward operation throughout the entire bowl. We provide specially designed bowl for more efficient work. The media used in this machine are Stainless Steel Pins as small as 0.3 MM in Diameter and 7 MM in length. Theses SS Pins works very well in areas such as undercuts, recesses, slots, etc. The average finishing time on Gold and other precious metals is about 30 to 45 Mins.